This month has seen major events hosted to display upcoming software and hardware from both Apple and Microsoft. In fact, Microsoft has yet another major event coming up on Monday, but its location on the West Coast ensures that Sandy will not be a problem. Google’s event was expected to bring facts to the rumor mill surrounding many devices that have seen information leaks over the last few weeks. Several new devices were expected to be featured, including the next generation of Nexus devices and upcoming tablets from Samsung and HTC. Also expected was a formal announcement regarding Android 4.2 Jelly Bean, as many of the newest generation of devices are expected to ship sometime in November or December and to include the latest version of the OS. So far Google has been silent about a rescheduled date, but barring any major catastrophe the event is expected begin within a few days or less of the passing of the hurricane. 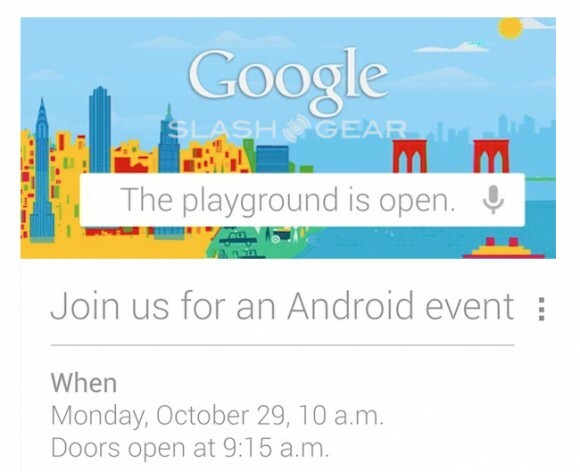 With all of the buzz about new software and hardware coming in major industry events, Google can hardly afford to delay the event any longer than is necessary for safety.